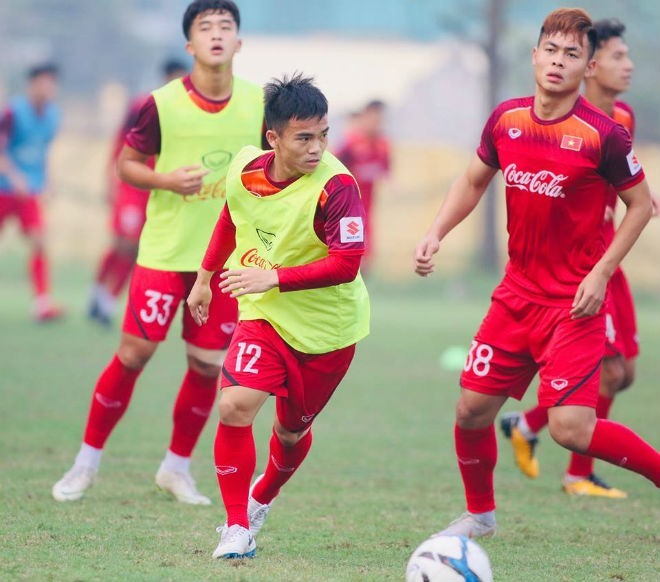 HÀ NỘI — Coach Park Hang-seo fears he hasn’t had enough time to prepare Viet Nam for the AFC U23 Championship qualifying round which begins today. Việt Nam, runners-up at the previous tournament, host Group K, which also features Brunei, Indonesia and Thailand. Speaking at a press briefing yesterday in Hà Nội, the South Korean coach said his team faced challenges. "We started practicing for the tournament on March 6 but some players came late as they had to play in the AFC Cup with their clubs. A short time of training made it hard for me to evaluate their ability," said Park through an interpreter. "This generation of players is better physically but they are not as good as their seniors in terms of technique. They have not played regularly in the local leagues. I am a little worried about their performance. "This group gathers all Southeast Asian teams who will play with great effort. Việt Nam were the last championship’s runners-up but this is the past. Pressure is on in all competitions. We will work on each game for good results," he said. Việt Nam will first meet Brunei at the Mỹ Đình Stadium tonight. Attending the briefing, coach Mohamd Darus Bin Tanjong of Brunei said his players were prepared for the qualifier. Although their rivals were regional powerhouses, he said Brunei had studied their opponents and felt confident. Indonesia will be Việt Nam’s second opponents on Sunday and then Thailand on March 26. Also yesterday, coach Alexandre Gama of Thailand said Việt Nam were the team to beat. Gama said Thailand had talented and promising players but his team would have to respect Việt Nam’s quality. However he wanted his players to show their abilities and play without pressure, as they have already qualified for the tournament proper as hosts. There are 44 teams taking part in the qualification’s 11 groups. The group-winning teams and four best second-placed ones will qualify for the finals, with hosts Thailand taking an automatic berth.